Sparco There are 8 products. 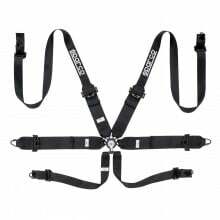 Sparco Competition Racing Harnesses. Sparco was born from a dream of two young Torino racing drivers who decided to increase safety in the racing world. In the earlier days of racing, there were big crashes producing many injuries. That is when Sparco began presenting its products and revolutionizing safety concepts. 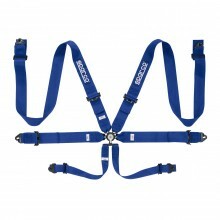 Sparco racing harnesses reflect that dedication to "safety first". Sparco Competition Harnesses are still dedicated to safety first to this day. 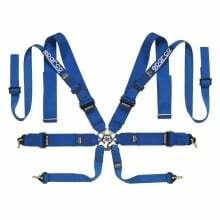 Sparco harness sets are seen at the highest levels of competition, from Best of Show to 24 Hours of Daytona, and every application in-between. 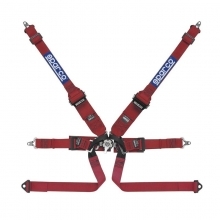 Sparco has the perfect harness option for 4/5/6 way safety solutions to protect the driver to the highest level. 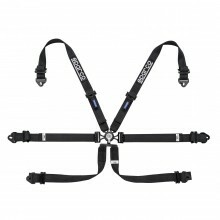 Trust Sparco Competition Harness sets to not only compliment your interior, but keep you safe.